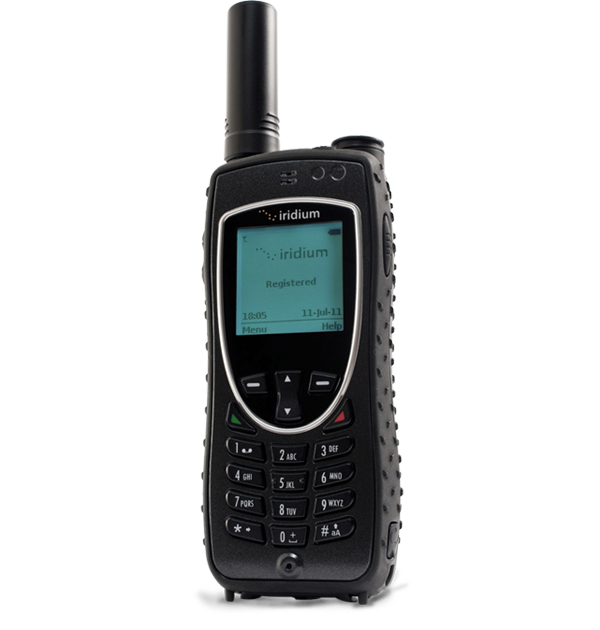 Iridium Extreme® is the first satellite phone to offer the fully integrated services of customizable GPS, Online Tracking, and Emergency SOS with Notification. More than a phone, it is a real mobile, real reliable tracking device, with truly global coverage. Mobile communications can expand frontiers, create opportunities, and establish critical lifelines. But only when it works. 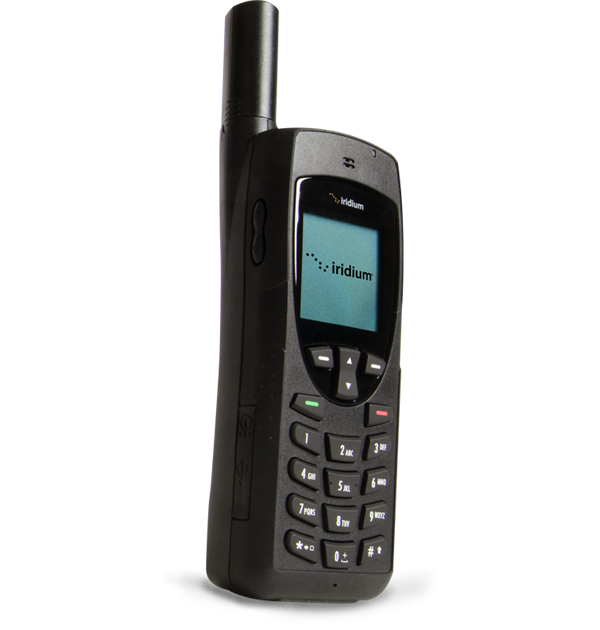 From distant rigs to pitching decks, baking deserts to frozen ice packs, the Iridium 9555 satellite phone can handle any environment. It is small but determined, sleek but industrial grade, easy to use, but powerful. Also, since it runs on the world's only truly global network you can rest easy knowing that no matter where you are you will always get a signal. The purpose built cradle simply docks the 9555 handset securely, providing an integrated antenna, data, and power connection that makes it possible to keep all antenna cables and power permanently connected to the dock ready for use. 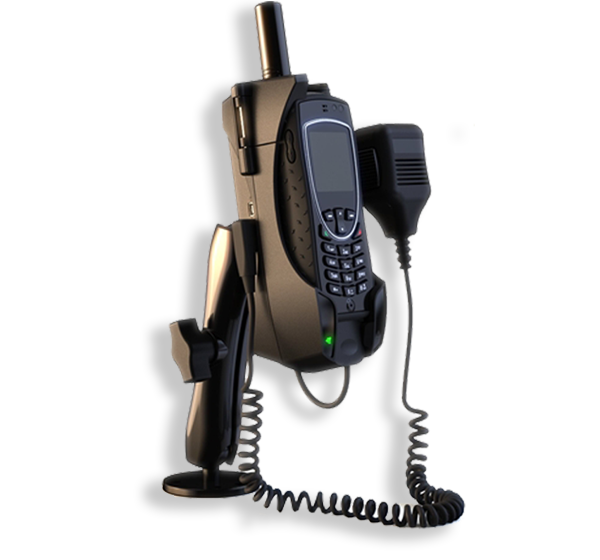 The 9555 handset is easily inserted and removed by the press of a button on the top of the dock making it very easy to remove the 9555 for use out of the dock at anytime. 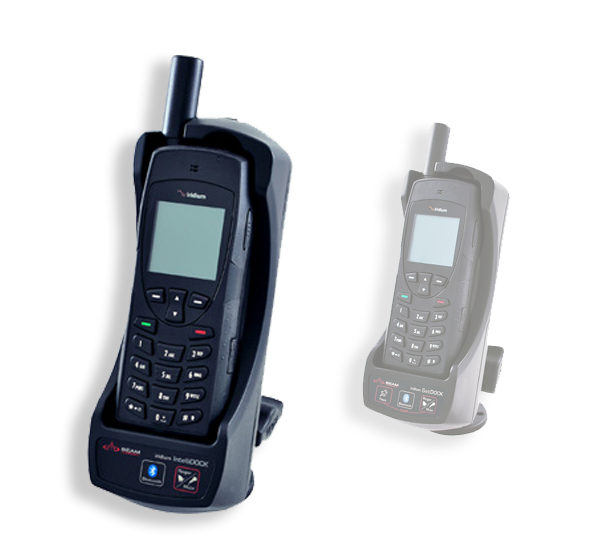 When it comes to what you really need in a satellite phone, IsatPhone Pro delivers. 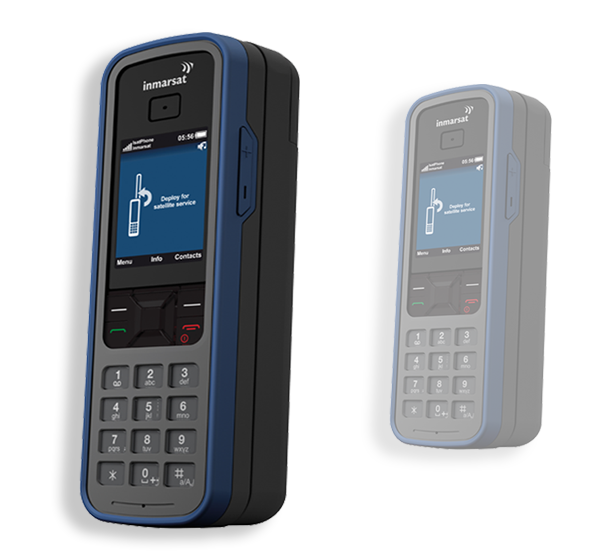 This global handheld from Inmarsat is purpose-built for the most reliable satellite communications network in the world with clear voice quality that you expect from the market leader. This phone is designed to work in just about any conditions – in rain storms, dust storms, searing heat to sub-zero cold, tropical humidity, or freezing fog. There is also no need to worry about battery life when you are miles from anywhere since it is made to last. It is also very easy to use, try it for yourself and see how simple it is! Call Apollo SatCom for sales and service today! The IsatDock LITE enables the IsatPhone Pro to be always on and ready to receive incoming calls that can be answered via a Bluetooth accessory or the optional privacy handset. The IsatPhone Pro handset fits securely in the dock which is also key lockable. Other features include phone charging, USB data port, built-in ringer, and it also allows the antenna and power to be permanently connected to the dock ready for use. 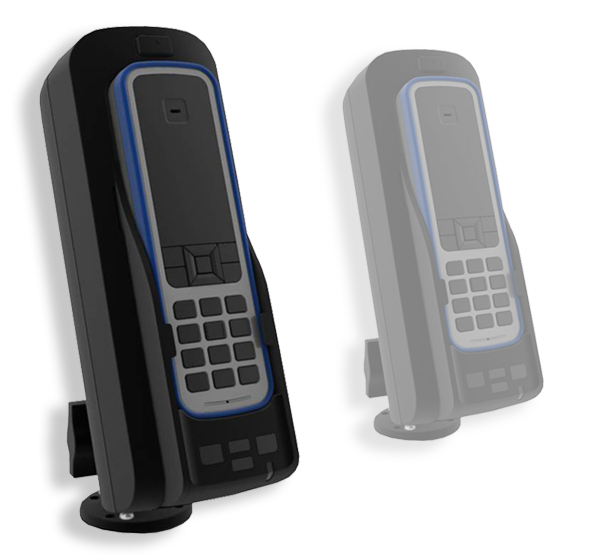 The IsatPhone Pro handset is easily inserted and removed by the press of a button on the top of the dock making it very easy to use away from the dock when required. The Iridium GO! turns your cell phone into a satphone so you can get a signal anywhere, no more need for cell towers! 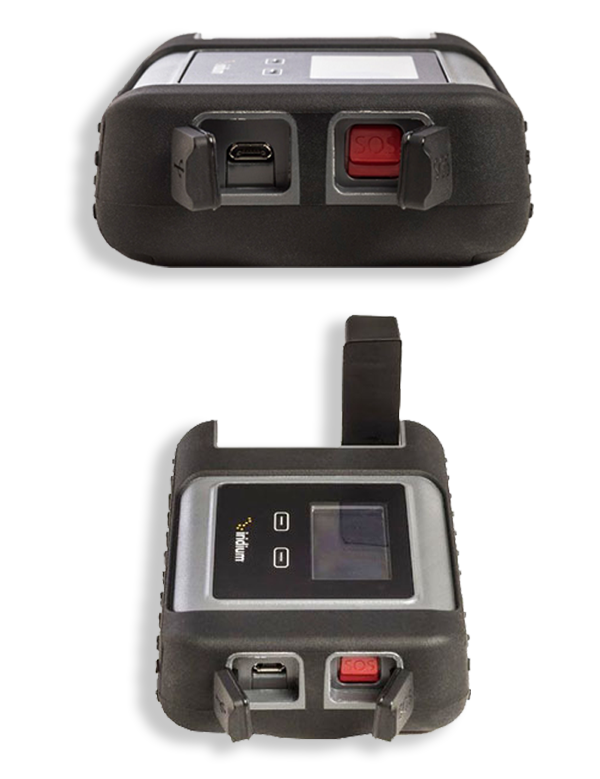 Jet Water Resistant, Shock Resistant, and Dust Proof required by emergency and first responders. The Iridium GO! is always there no matter the weather or the location. No matter where you are or how bad the weather is the Iridium GO! is there and functioning. The integrated SOS is purposely engineered directly into the rugged build of the device. This way it is guaranteed to be there no matter the attitude of mother nature.